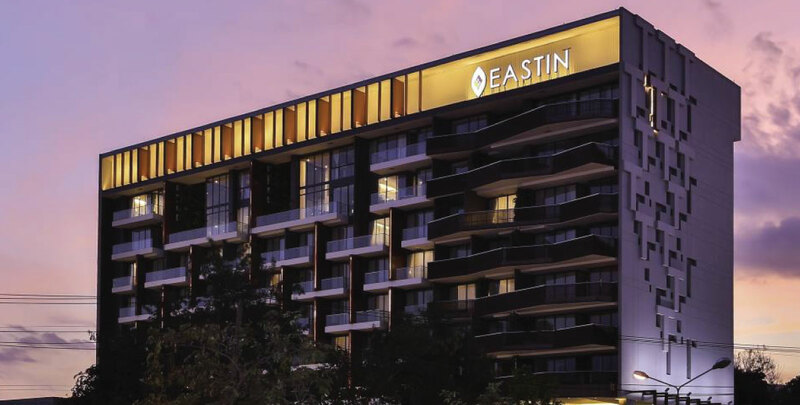 Bangkok, Thailand (May 15, 2014) - Absolute Hotel Services Group CEO Jonathan Wigley is delighted to announce the first member of Eastin Hotels in Chiang Mai, Thailand. The hotel will consist of 129 rooms and suites and set to open in December 2014. Eastin Tan Hotel Chiang Mai is located on the main road of Huay Kaew and just minutes away from the Nimanhemin Road Shopping and entertainment area, the most popular area to visit when you are in Chiang Mai where small designer shops, home furnishings, art gallery and restaurants can be found. The hotel will have a total of 129 rooms and suites with sizes ranging from 33 - 177 sqm with one to three bedroom suites options available. The overall design of the hotel will have contemporary asian influences throughout its interiors. All accommodation will feature free Wi-Fi, in-room deluxe amenities plus unique services of Eastin brand, such as extended breakfast hour to 11:30 am and 48 hour room ready upon arrival guarantee. Other facilities include, restaurant, gym with sauna and steam, large swimming pool and a meeting room with total size of 390 sqm. Jonathan Wigley said, We are very excited to add one more hotel in Chiang Mai in such another booming location as Chiang Mai to serve the growing demand to the destination from domestic, Southeast Asia and China.